In regard of the need for NATO to enhance its contribution to the Comprehensive Approach to crisis management and with the aim to improve the common understanding of interagency cooperation in the area of crisis management and disaster response (CMDR), the Centre of Excellence for Crisis Management and Disaster Response would like to formally invite Subject Matter Experts to the annual international seminar "Interagency Cooperation in Crisis Management and Disaster Response. Tools and Practices for Training". 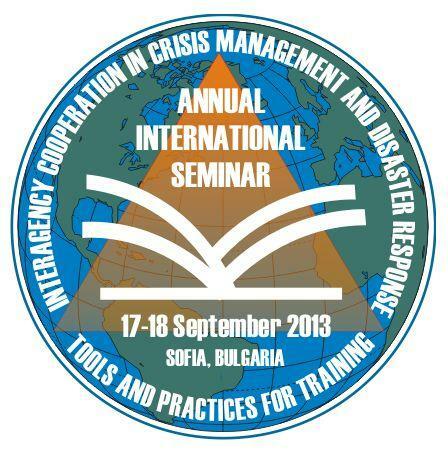 It will take place in Sofia, Bulgaria, on 17th and 18th September 2013 in the National Military Academy "G.S.Rakovski". Cooperation between different organisations in crisis and disaster response operations (NATO, national, GOs and NGOs); NATO and national CMDR policy and practices; Best training practices of Centres of Excellence; Simulation systems and tools for CMDR training; E-Learning, Strategic communications and Leadership in CMDR. The Seminar is open for Companies to demonstrate their products, software and tools in CMDR area. The seminar is open to all NATO Nations and Partners, national and international organisations. There is no conference fee. The working language will be in English and interpretation services to and from other languages will not be provided. All articles and reports, presented at the seminar will be published in the CMDR COE proceedings from the seminar. Please, do not hesitate to contact the POCs for any questions or further information. We look forward to welcoming you and your SMEs in the CMDR area to Sofia.